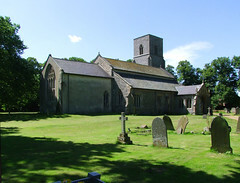 Not a large village, though it may seem so after a few hours cycling through the little hamlets that bury themselves in the valleys of the rolling north-west Norfolk landscape. 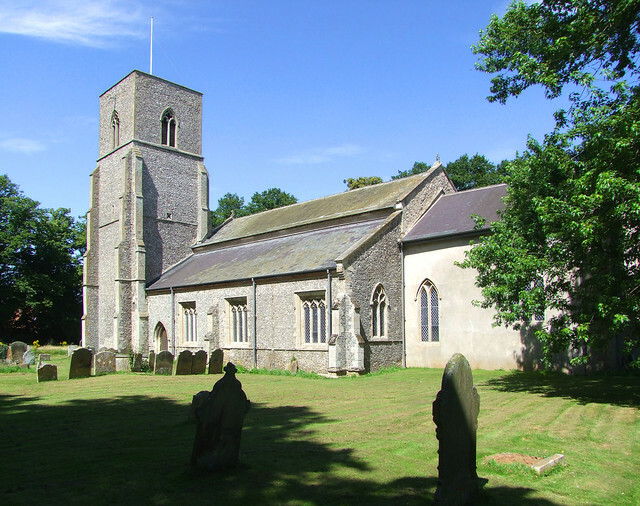 Technically there are three Birchams, although in reality the other two are just outer fringes to the Great one, and St Mary is the big church at the heart of it all. 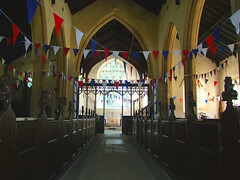 A big church, yes, but unfamiliar to East Anglian eyes in that, despite its wide aisles, there is no clerestory, and the big west tower is set against the end of the south aisle, which must have been the site of the original church. 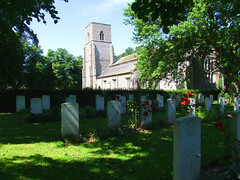 Mortlock observes that the church has a curiously shuttered look, which is exactly right. 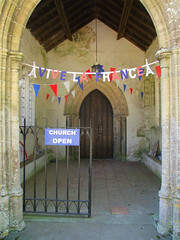 So often with large churches in East Anglia you enter a building of light-filled and perpendicular openness, but here, as you approach the grand north porch, you have no inkling of what secrets may be inside. 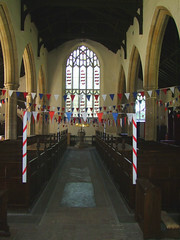 In fact, you enter a church shot through with light, because the offsetting of the tower allows one of the biggest west windows in Norfolk. 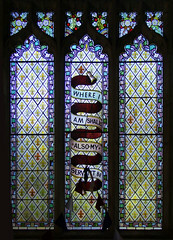 Added to the fact that there is very little coloured glass inside, you can see that a clerestory would have been an unnecessary luxury. 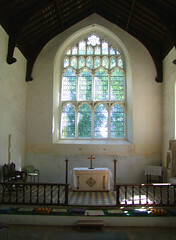 Indeed, light is the principal motif of the church, no shadowy worship here but that Perpendicular triumphalism of the late medieval period which, stripped of its fittings, can leave a rather barn-like feel, which the elegant 19th Century box pews go some way to ameliorating. 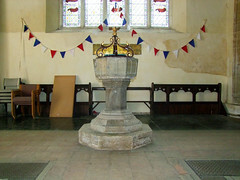 Even so, the modern congregation must rattle around in here. 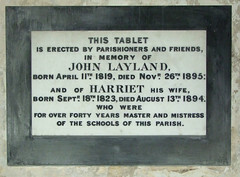 In the north aisle, John and Harriet Layland were for over forty years master and mistress of the schools of this parish. 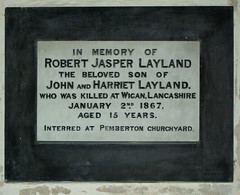 Just to the east, their son Robert Jasper Layland was, in 1867, killed at Wigan, Lancashire aged 15 years. 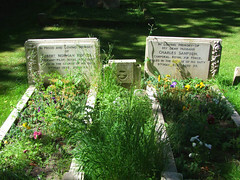 What a fascinating story those two memorials tell. 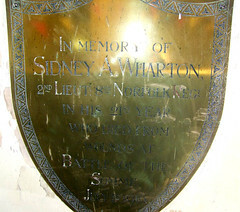 Across the church in the south aisle, 21 year old Sidney Wharton was killed on the first day of the Somme. 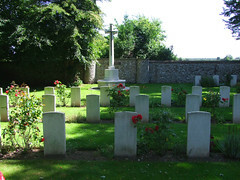 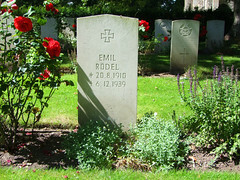 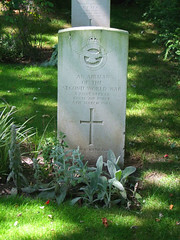 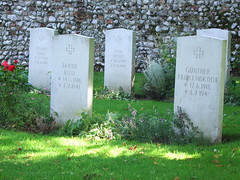 To the east of the church is a Commonwealth War Graves Cemetery for the Second World War, remembering both the airmen of RAF Bircham Newton and the German air crews who tussled with them. 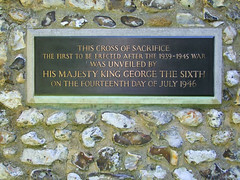 A plaque on the wall tells us that the Cross of Sacrifice here was the first to be erected after that war ended.